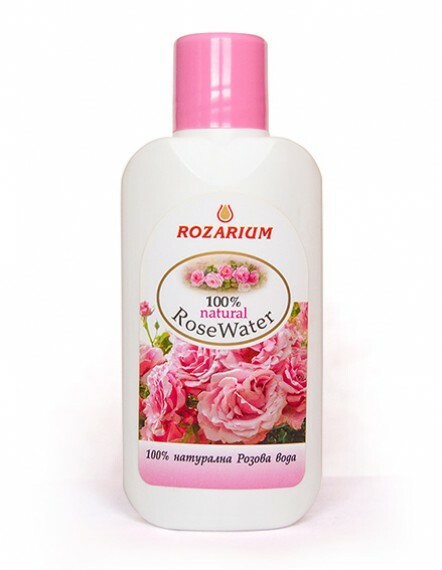 The rose water is 100% pure natural product that is obtained by water-steam distillation from Rosa Damascena. Due to the fact that it contains a certain amount of rose oil dissolved in it, it has an antibacterial and disinfecting effect. It is applied externally in case of inflammatory processes, acne, redness of the skin, sunburns and other burns, insect bites, eczema and itchy skin. At home it can be added to creams, shampoos, body lotions and other cosmetics. ©Rozarium.net 2014. All rights reserved.